The minister of international trade says Canada intends to be constructive and innovative as the North American Free Trade Agreement renegotiations resume in Montreal. Canada intends to be constructive and innovative as the North American Free Trade Agreement renegotiations resume, the country's international trade minister said Monday. The talks take place amid the U.S. administration's grumbling about Canada's recent sweeping complaint with the World Trade Organization about U.S. trade practices, as well as Canada's insistence on a progressive trade agenda that includes Indigenous and labour provisions. But Francois-Philippe Champagne told reporters that from Canada's perspective, those aren't the toughest part of the talks. "The things that have been the most difficult, it's not the progressive agenda items, whether we talk about the environment, whether we talk about labour or gender," Champagne told reporters. "The things that are difficult were difficult at the time of Brian Mulroney, so we're talking about Chapter 19 (dispute mechanism).There are things about procurement, there are things about the sunset clause (which requires unanimous approval every five years for the agreement to continue)." 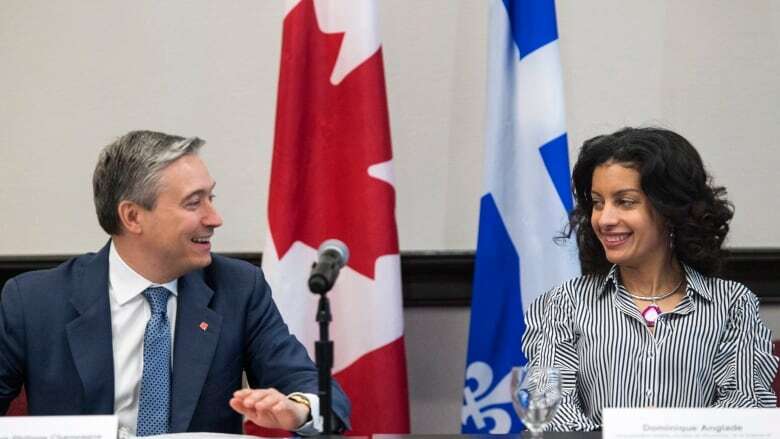 Quebec Economy Minister Dominique Anglade echoed that it was important to stand firm in the face of U.S. punitive duties on products such as softwood lumber and Bombardier jets. "At the end of the day, we have to defend what we really believe in, and when we think something is not just, we have to go forward and say it loud and clear," she said. Champagne and Anglade met with various Quebec stakeholders in culture, agriculture and labour as well as with representatives from employers and municipalities. The NAFTA negotiations continue until Jan. 29.